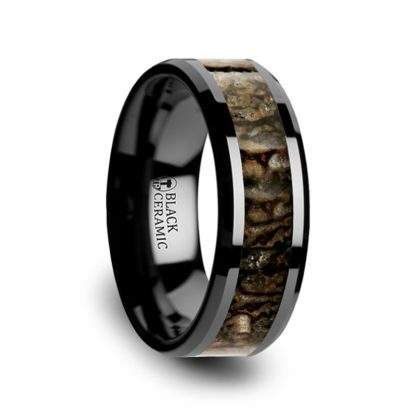 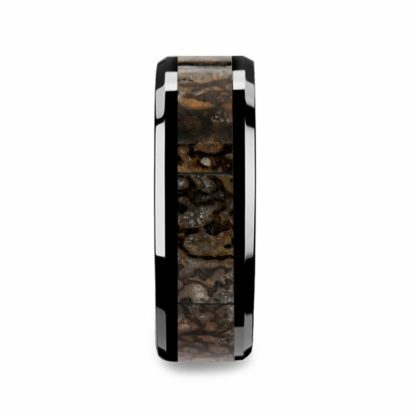 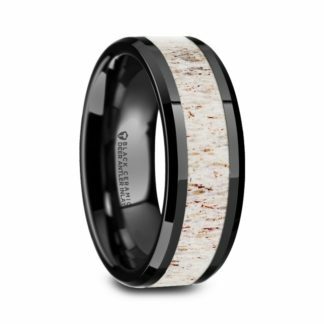 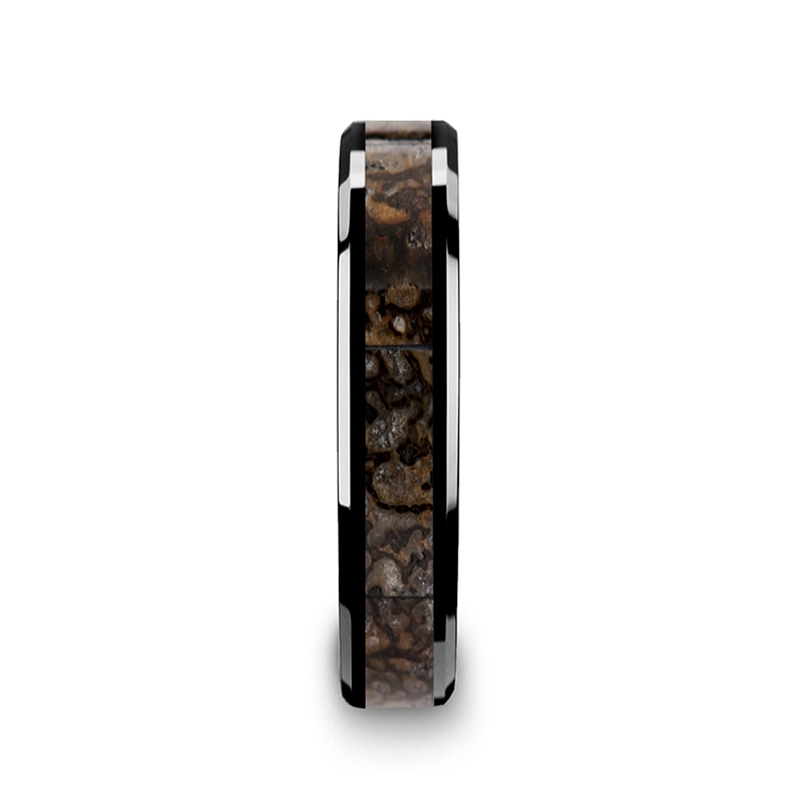 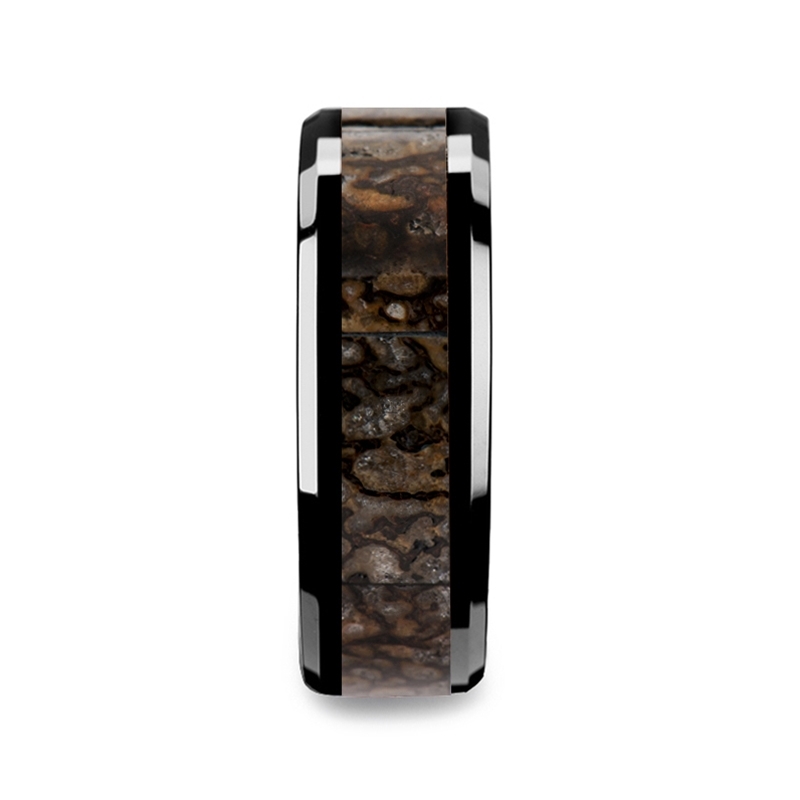 Stunning Dinosaur Bone featuring a 4 mm or an 8 mm design in Black Ceramic with eye-catching beveled edges, complete with comfort fit styling. 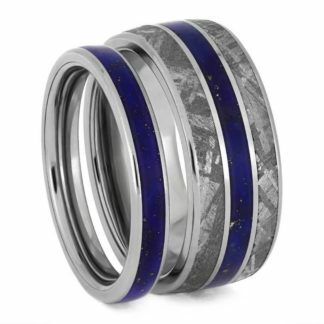 No two rings are the same – truly a desirable and sought after creation. 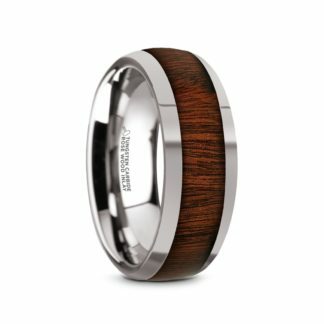 Wonderful couples ring and is available in either 4 mm width or 8 mm width – please specify in Order Comments during Checkout. 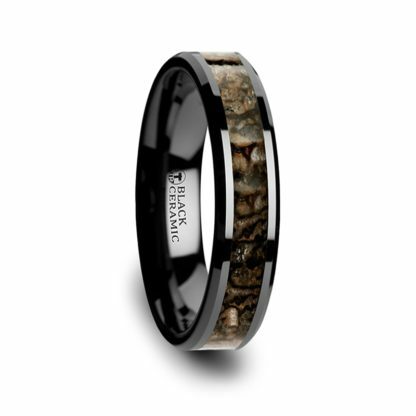 Note – this ring is on back order in sizes 5 and 5.5 – we apologize. Questions? 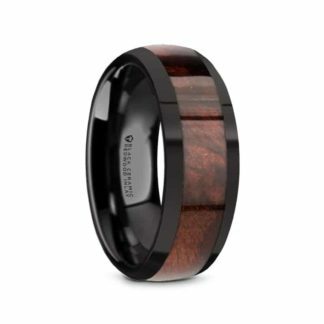 Reach out to us at sales@simplywoodrings.com.